As I wanted to finish all open tasks for the free edition before X-Mas (so that I can start developing the pro version after the holidays 😉 ), I made another release which includes some great new features and lots of usability improvements (which you won´t probably notice at first glance but will hopefully lead to a better handling of the plugin especially in the backend). Thanks again @mkalina for your detailed feedback! In case you don´t know: the default basemap OpenStreetMap (OSM) used by Leaflet Maps Marker is like Wikipedia for maps. 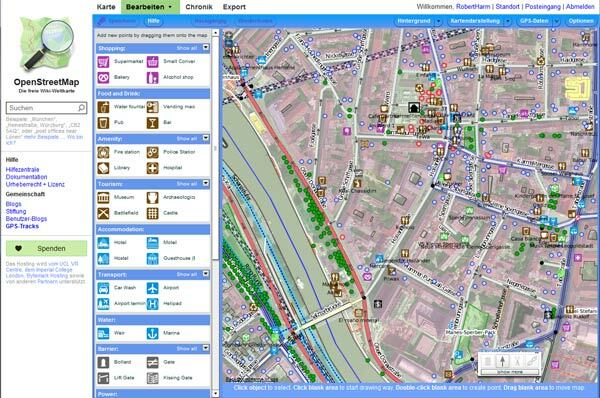 Everyone can register on www.openstreetmap.org and help to improve the maps. In order to support this open approach, in v3.3 an edit link of the current map area gets added to the attribution text of maps using OpenStreetMap or Mapbox (OSM) basemaps. The augmented-reality API of Leaflet Maps marker was also enhanced with v3.3, as Wikitudes added some new definitions to their ARML schema (especially for better promoting your augmented-reality World within Wikitude). 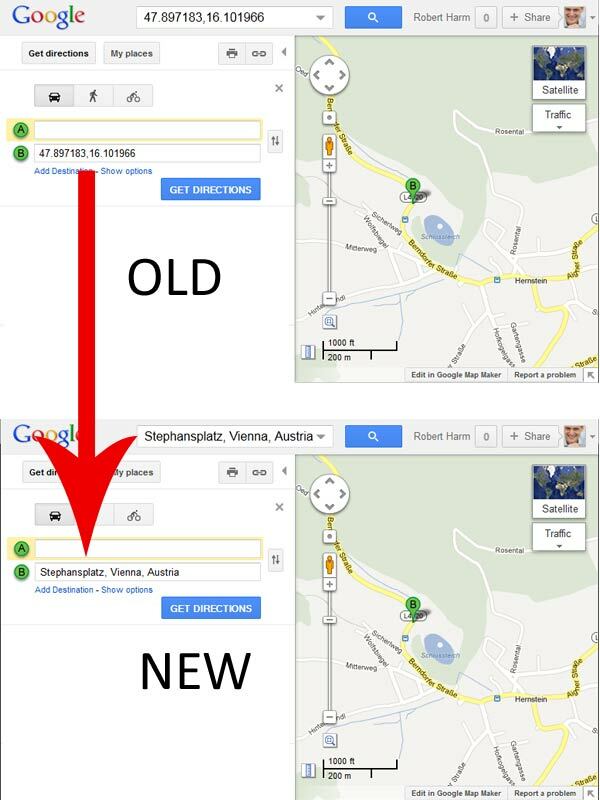 Can will find those new fields in Settings / Augmented-Reality / Wikitude Settings – see screenshot below. Please be aware, that with v3.3 I reset the Wikitude world logo and icon to the default value. This was necessary because I moved the default image files to a sub directory in a former version and therefore current users would not see any logo or icon when registering their world. In case you changed those values, please update them again! Layer maps allow displaying a list of markers under the map. By default, a maximum of 100 markers is shown in this table (this can be changed in Settings / Map Defaults / List of markers settings). For some special usecases (in case you just want to work with overlays only) you might want to use an empty basemap for their maps. This is now also possible with v3.3. 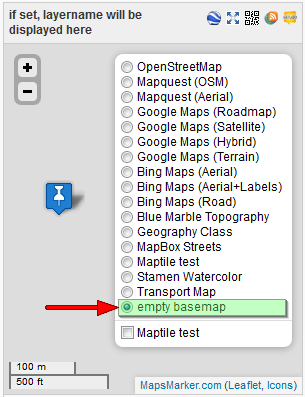 The “empty basemap” is disabled by default, but can be enabled in Settings / Map Defaults / Available basemaps in control box.